If you really want to learn use of technology, find a TUTOR. Doing it yourself is slower, and less efficient, effective. 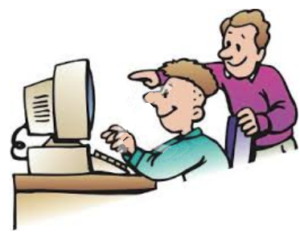 HELP is divided into two sections: general computer help labelled with “Lesson ## – topic” and gmail related help labelled “L# G# – topic” The first area deals with general computer assistance, the second with topics specifically related to emails, mostly Gmails. We offer help here with no particular order to the posts but each has its subject area posted in the title.